One of the things I enjoy doing most with my boys - as well as reading to them - is playing games with them. 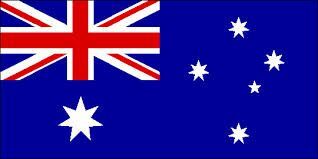 Children learn best when they are having fun and so I am always on the look out for games which are entertaining and engaging but which also sneak in a bit of learning. Early reading games help to practice skills such as sight-word recognition and phonics and also help to introduce new vocabulary. 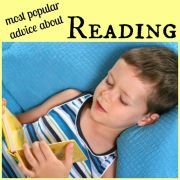 These are all invaluable skills for your beginner reader to learn. Playing such games is a great way of supplementing the other ways of helping early readers, such as choosing appropriate books for them to read and reading aloud to them. Sometimes we make up our own early reading games but other times we like to play some of the commercially available games. Below you will find some of the best early reading games money can buy! These are the games we love playing again and again. We always keep them close to hand, whether they are cluttering up the kitchen table or, in the case of portable games such as Appletters or PAIRSinPEARS, crammed into my bag. If we find we have a few minutes spare waiting for supper to cook or for a delayed doctor's appointment, we will dig them out and get playing. 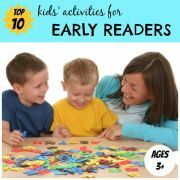 The early reading games featured here are perfect for younger children, aged from around 3, 4 or 5 years old, but are also fun for older children to play. 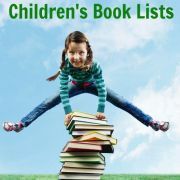 They are listed with the easiest games first, suitable for the youngest in this age range. You can find more of our favourite games for children aged six and over here. A great way to get siblings to play together is to introduce more difficult rules for older siblings to help give the little ones more of a chance of winning. I have indicated which of the games below could be played well with different ages. 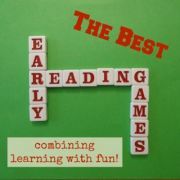 I hope you and your children enjoy playing these early reading games as much as we do! 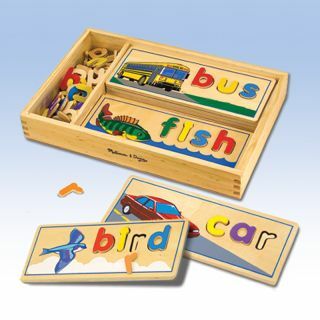 In this early reading game your child completes a puzzle with the wooden letters to spell a word. On each side of each board there is a picture of a word and the cut out of each of the letters needed to make up the word. There are 8 double-sided boards so your child can form 16 three and four-letter words with the 72 colourful wooden letters. This is a very tactile way of making words. You can use the wooden letters as stencils or for spelling other words. This early reading game, from the same people who thought up Bananagrams, consists of four A-Z sets of differently patterned alphabet letter tiles. 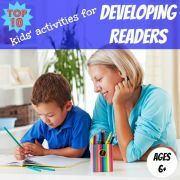 A number of different activities are suggested for pre-readers, beginner readers and more advanced readers. 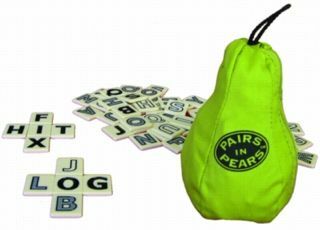 In the PAIRSinPEARS game players race to make grids of two intersecting words, the winner being the first to make a certain number of grids. Start by placing all the tiles face down then divide them equally between the players. Everyone then flips their tiles over and tries to make grids of words, each word having 3 or more letters. The first to finish wins the game. 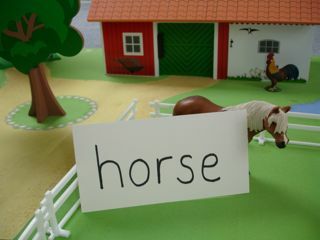 The different patterned letters are fun for learning letters and forming simple words. The tiles are larger than the Appletters or Bananagrams tiles, so the easiest of all to manipulate. Lots of variations to play - one of our favourites is to use one set of A-Z letters and turn them upside down. Turn over two letters at a time and be the first to shout out a word which includes these two letters. If you shout out first, you keep the tiles. Whoever has the most tiles at the end wins. Put the puzzle pieces together to make lots of silly sentences. 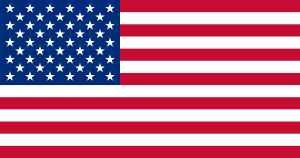 The sentence structure is enforced by the way the puzzle pieces fit together. So although the sentences may be silly, they will make sense with nouns, verbs and adjectives in the right place. We have lots of laughs reading the silly sentences we create. This is a fun way to teach parts of speech such as nouns, verbs and adjectives to older children. Slide the tile dispenser (or "Zinger") from front to back and tiles drop into the display area. There is a word and illustration of that word on each tile. Each player tries to match the tiles to one of the nine squares on their card. Shout to claim the tile and place it over the appropriate square. More than one player may need the same tile so you have to be quick! The winner is the first to collect all the nine tiles for their card. 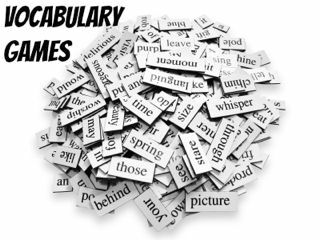 There are 72 different word tiles with words such as 'heart', 'kite', 'clock' and 'foot'. My kids love gadgets, and the Zinger tile dispenser is really the highlight of the game. At the end of the game you feed the tiles back into the Zinger so clean up is fun and easy too. Each tile has two sides - an easy side and a harder side - so you can play with children of different abilities. 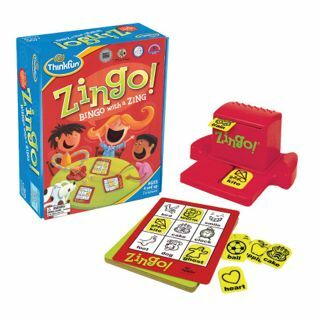 If you like this early reading game, why not also try Zingo Sight Words This game is played similarly to Zingo Bingo but using sight words such as 'my', 'have', 'went', 'said' and 'come', rather than nouns. Graphics on the tiles hint at the meaning of the words before players are familiar with them. Take a piece of popcorn from the box and read aloud the sight word printed on it. If you read it correctly you get to keep the popcorn, but if you pull out one of the POP pieces, all your words go back into the box. The player with the most popcorn cards at the end wins. There are 92 sight word cards and 8 POP cards. 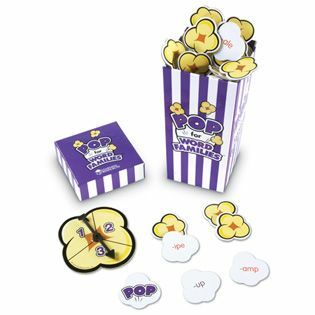 The fun shaped popcorn pieces and box are a hit with my popcorn-loving children. There are lots of different ways to play eg earn little rewards for the popcorns you win or do a forfeit when you pick a POP card. You can make it harder for older children eg they have to use the word in a sentence or they have to also think of a rhyming word. 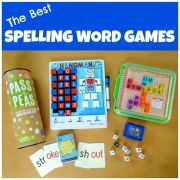 If your kids enjoy this early reading game, practice more sight words with POP for Sight Words 2 It is played just the same as the original game but introduces a new set of 92 sight words. Spin the spinner to decide whether you have to make 1, 2 or 3 words. 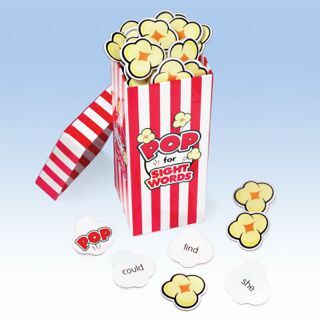 Then take a popcorn piece from the box and create words with the ending shown on the card. For example, if you spin a 2, and pick the card '-ipe', you have to make 2 words ending in '-ipe', such as 'swipe' and 'pipe'. If you can make the right number of words you get to keep the popcorn piece. If you choose a POP card, all your pieces go back in the box. The player with the most popcorn pieces at the end wins. The suspense of not picking the POP card keeps things interesting. There are different ways to play which keeps it interesting eg spin the spinner and choose that many pieces of popcorn, making one word with each card. Older siblings can be asked to think of twice the number of words as shown on the spinner. 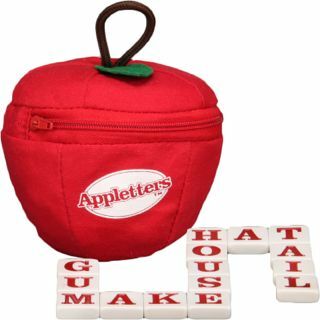 Also from the manufacturers of the highly successful Bananagrams, Appletters is a game designed for younger players. The objective is to make a 'word worm' by taking turns to attach words to the head or tail of the 'worm' (the existing chain of letters). Start by placing all of the tiles face down in the centre - this is the 'core'. First, each player takes a set of tiles from the 'core', eg 15 tiles for two players. The first player makes the first word and places it in the middle of the table. In subsequent turns, players make new words ensuring that the first or last letter of each new word attaches to the first or last letter of the 'worm'. If they are unable to make a word they have to draw three tiles from the 'core'. Easier than Bananagrams for younger children since you can work collaboratively and help eachother out. Older siblings can help out younger siblings. The Appletters tiles are chunkier so easier for little fingers to manipulate. 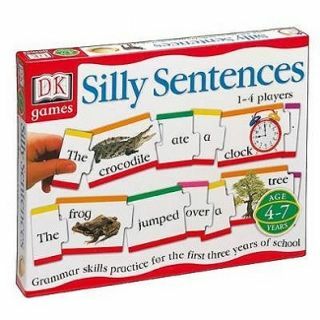 Very portable and a great early reading game for playing alone.